Bring your beach glow home with these amazing hair colors. We've all been there: You tell your hairdresser you want a few highlights, but somehow end up leaving the salon a full shade lighter—or worse, with dreaded 90s tiger stripes. The struggle to get natural-looking dimension is real, but luckily, this French technique makes it a lot easier to achieve a gorgeous glow. 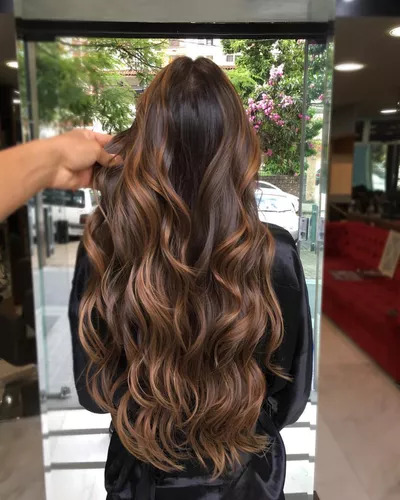 Balayage is a huge hair trend that's here to stay. 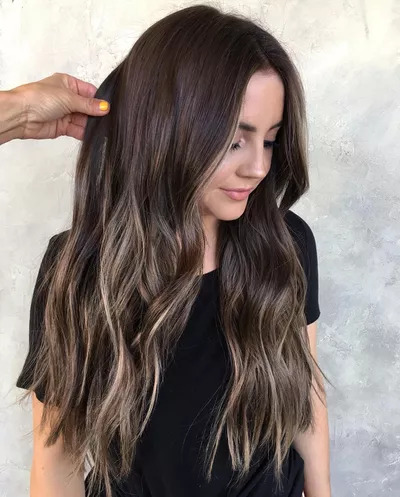 Instead of using old-school foils, the balayage process involves strategically painting highlights directly onto strands (balayage translates roughly to "to paint") in places that capture the light. The idea is to channel the natural highlights you had as a child for a subtle, sun-kissed touch. Ready to embrace this hair trend? 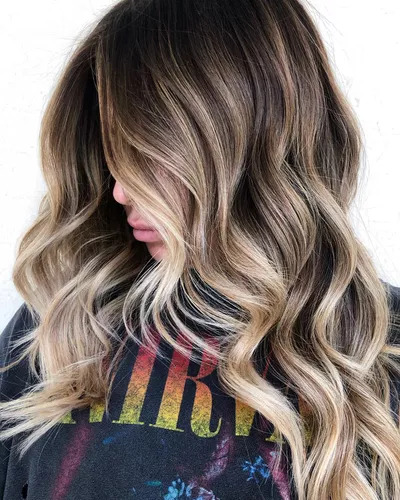 Check out the balayage hair ideas below that will make you feel like a beach babe all year around. There's a reason why ash hair has become so popular: Sometimes a few touches of dusty color are all you need to freshen up your look. Who would have thought that gray undertones could be so vibrant? We love this gradual ash brown application by @tommyamazinghair. 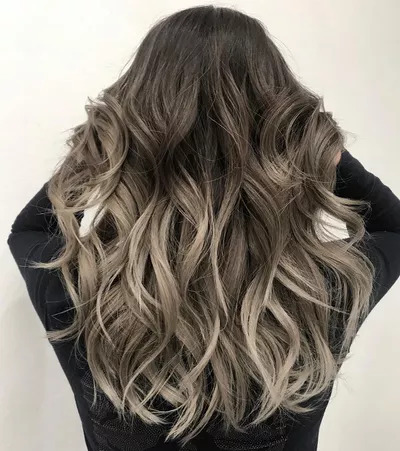 Although balayage typically doesn’t start at the root, placing one lighter piece or two at your crown adds major “wow” factor. To create this golden pop of color, @meltedbymish saturated the end of the strand for a standout style. Many brunettes shy away from highlights in fear that they could make them appear blonde. But you don’t have to go too light to get great dimension. 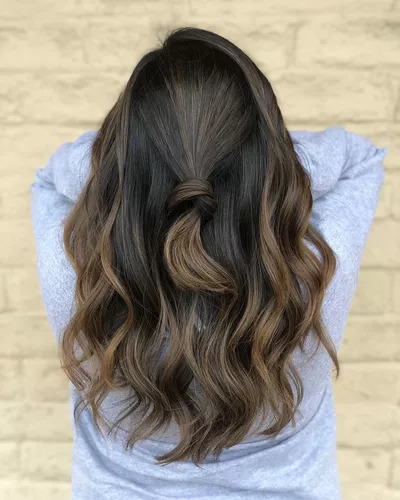 We love what @andrewlovescolor did to make these chocolate brown locks shine. Out with the dirty blonde, in with the bronde. 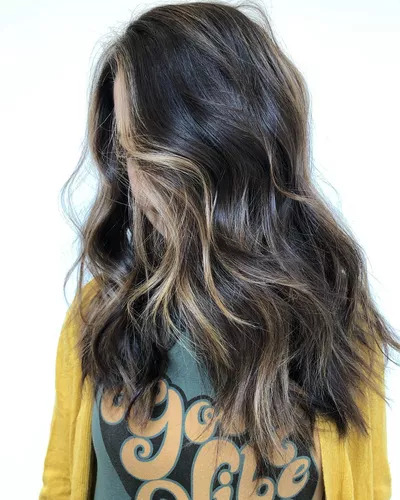 This shade is the perfect blend of brunette depth with blonde highlights. It’s a great option for brunettes who want to test the waters before going to the light side. Thanks @coloredbycaitlin for sharing this look with us. Ice blonde hair has become increasingly popular for its sleek, cool aesthetic. These long blonde locks by @thesalteblond glisten like melting ice. Bring the chill with this frosty style. These caramel ribbons look better than the inside of a Twix. We love how @_nicolasrodrigues_ created rich dimension on this brunette. 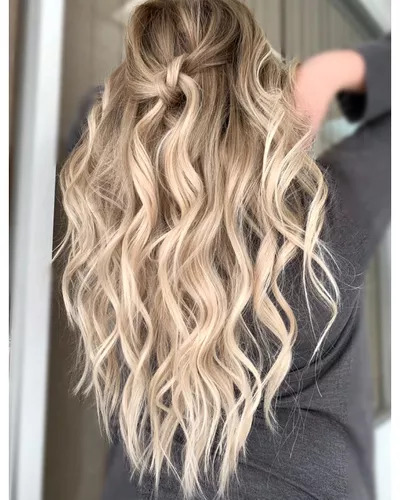 Super light blonde accents on dark brunette strands are everything. This mocha-inspired look by @hairby_chrissy effortlessly blends the contrasting tones. Whispers of blonde add just enough oomph to revamp your look. 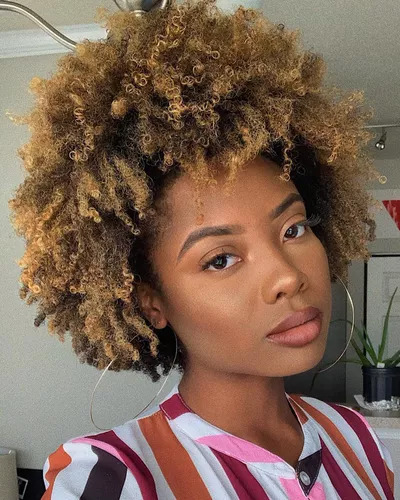 We are loving these golden curls on @frizzybri. She is giving us major goddess vibes with her natural glow.